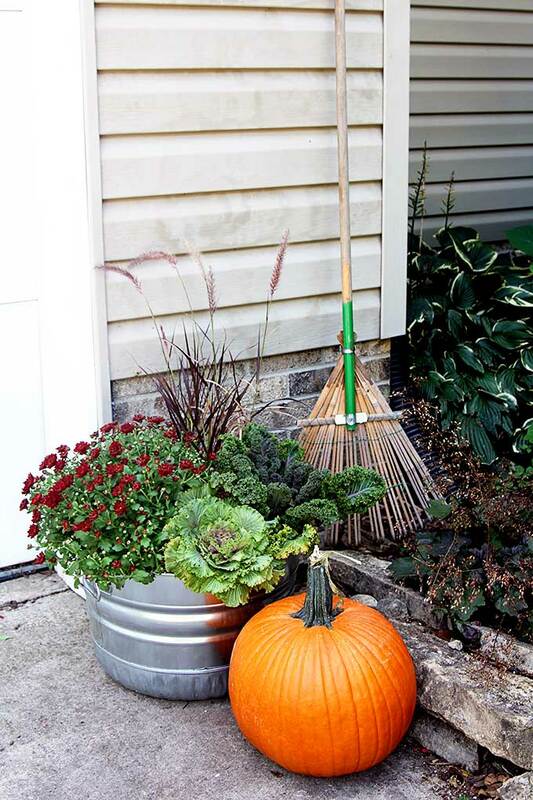 Quick and easy instructions for how to make fall outdoor planters for your porch or garden. 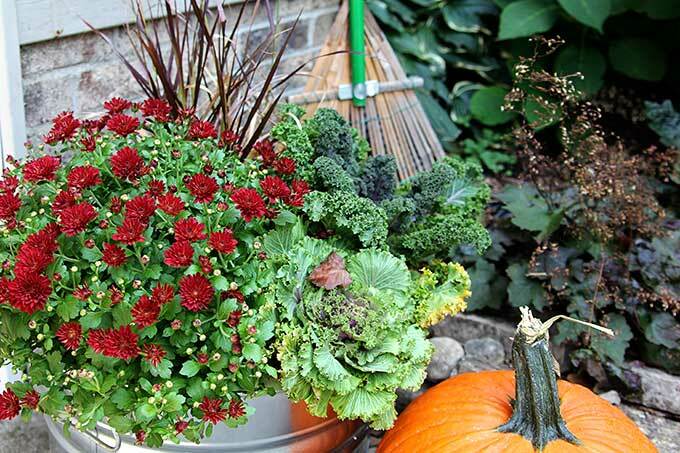 Along with tips for the 10 best fall flowers for pots. Fall is in full swing around here. It’s apple picking, boot wearing, pull the comfy sweaters out of storage time. And I can’t be happier. Besides, the Country Living Fair is coming to town this weekend, so I’m in an extra good mood to see all that vintage/farmhouse/crafty goodness all in one place. There is always one thing that I am hesitant about in September though. When is the right time is to trade out my summer plants for fall ones? Some years I let my summer plants hang around until the first frost, but these planters beside the garage door have gone downhill fast. OK, I’ll admit I haven’t been caring for them as much as I should have, because . . . FALL and all. So this weekend I decided to spare them from dying a slow death and changed them over to fall outdoor planters instead of the scraggly looking summer ones. If you are more of a visual learner, you can watch my video of the whole process! Click below to watch a step-by-step tutorial and a few pretty video-only photos while you’re at it. Or you can read about the process. 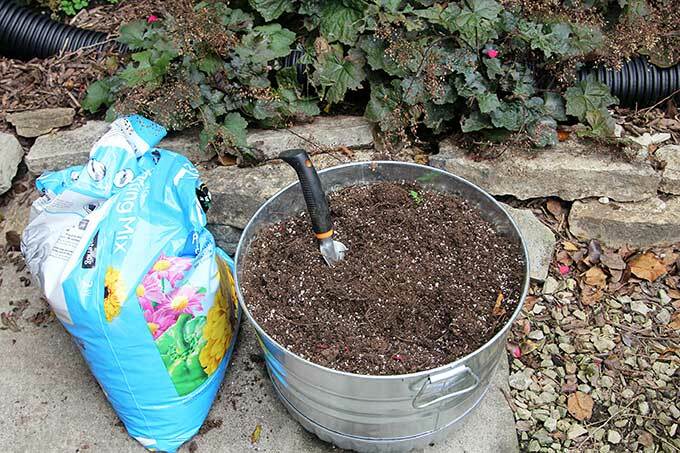 I start out by yanking out the summer plants and topping the planters off with some fresh dirt. Then deciding exactly what I want to plant in the tubs. Sure, you can go with a big old honking container of mums. 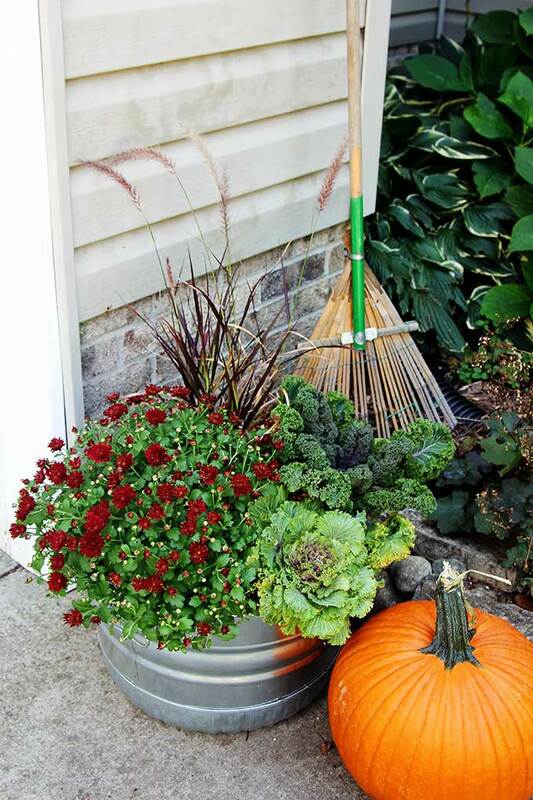 But you can also get a little creative and mix up your fall plants a bit. 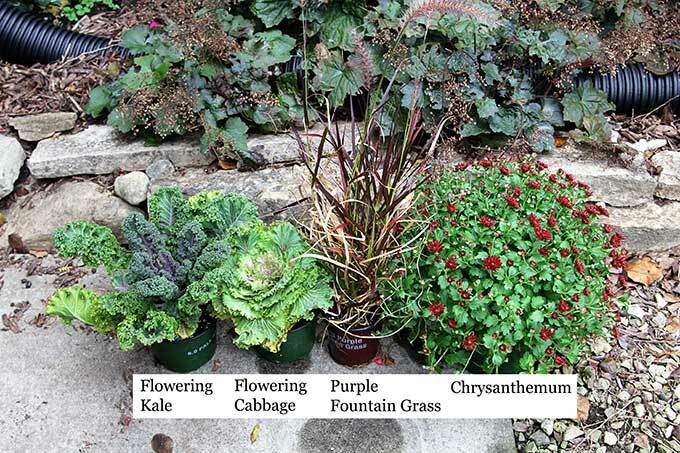 I chose mums, purple fountain grass, flowering cabbage and flowering kale. I start by planting my grass toward the back of the container and slightly off center. And add my mum beside it. and squeeze the cabbage in between the mum and the kale. In roughly ten minutes time and for less than $15 I have a fancy new fall planter that will take me through Thanksgiving. Probably beyond Thanksgiving, but when I do my Christmas decorating I’ll probably change them up to look something like my Winter Porch Pots from last year. 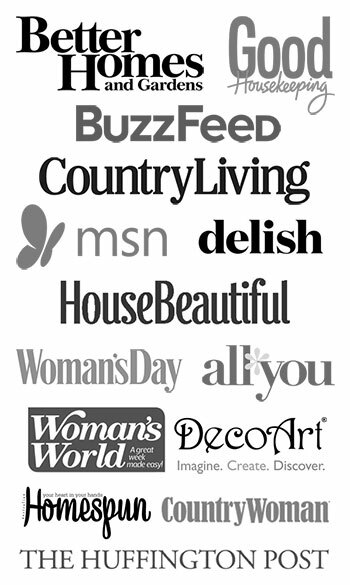 Tired of the same old same old mums? 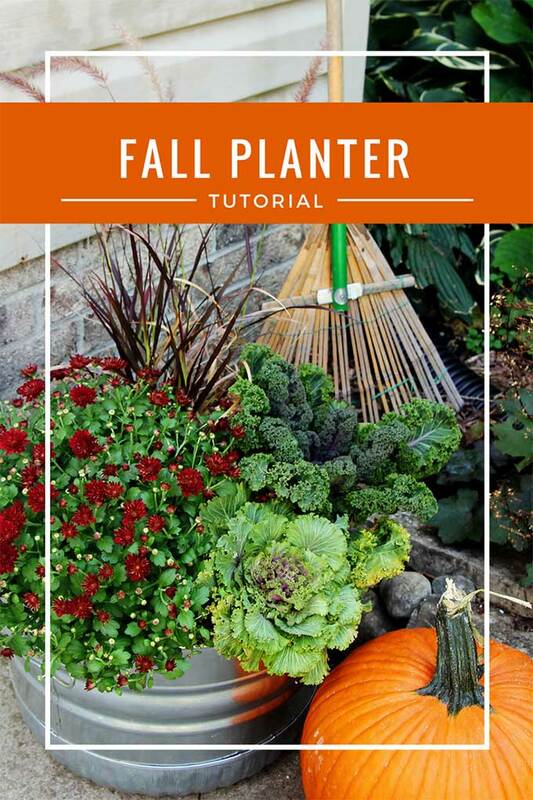 There’s a lot of plants you can plant in your fall outdoor planters! Now, you’re in luck! 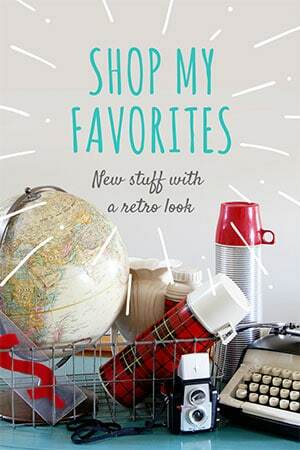 Today is Thrifty Style Team’s day to show off some of our projects we’ve been working on, so run over and visit some of my friends and see what they have up their sleeves. 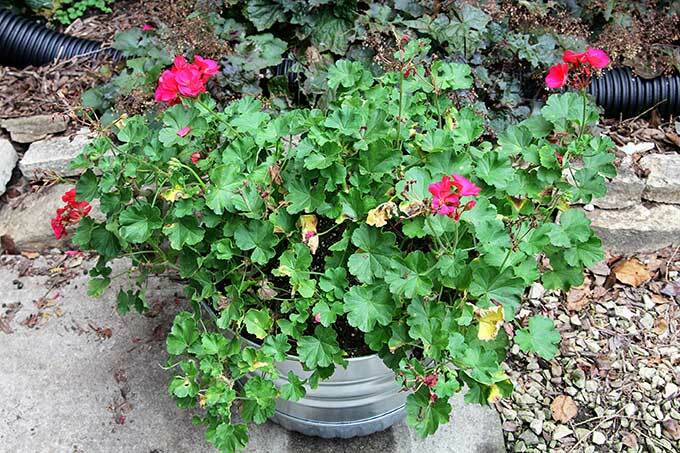 I loved your full pot of geraniums when you posted it on Instagram and I’m really loving what you replaced them with for fall. 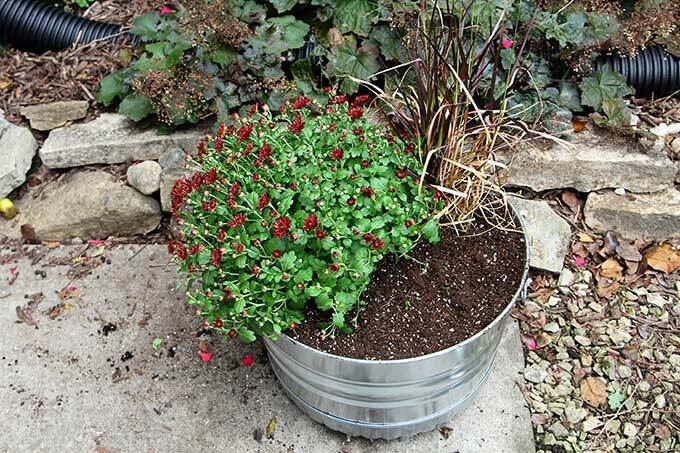 The plant combination is so pretty and it looks great in your metal containers. Thank you! 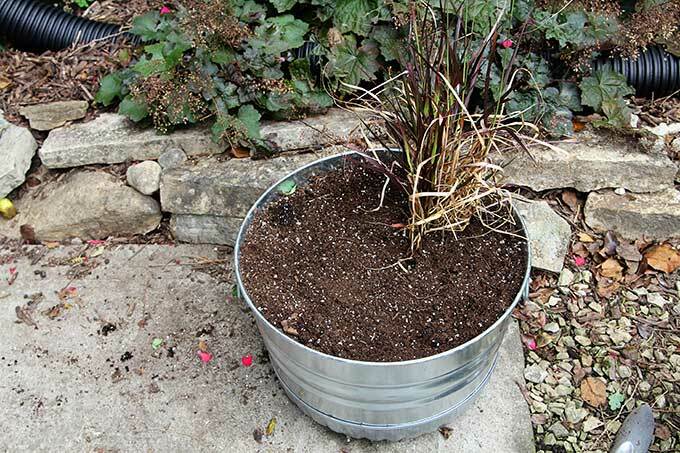 Those containers are just the right size for container gardens – bigger than an urn, but not so huge you have to go broke buying plants for them. Thanks for sharing these great ideas, my pots could use some love about now!! Your lovely arrangements are getting me into the fall mood. My Summer plants are looking pretty scraggly too. I’ve pulled up several already. Looking forward to planting a few mums pretty soon. I’ve never tried kale, but like the look of it. One of these years, I’m going to splurge and do it. Yours looks very pretty Pam! That is absolutely perfect for the fall Pam. Pinned and shared!! I have a thing for cabbage and kale plants for the fall. Such a pretty display in your yard. I love your green thumb. I love to see your talent and garden ideas. 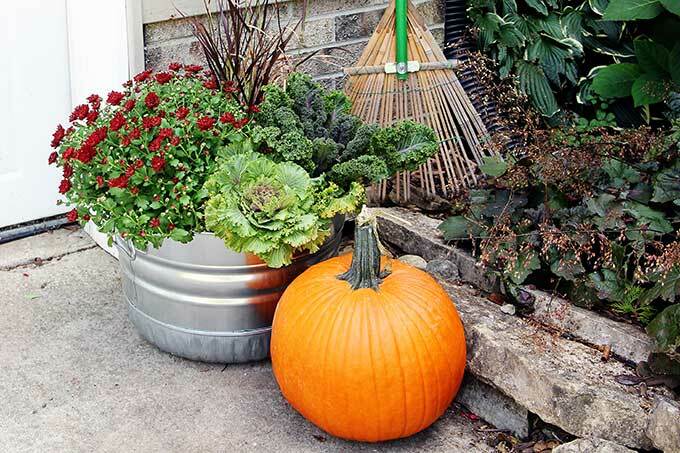 Your Fall containers and plants are lovely and inspiring. Thanks for sharing. These are my favorite fall staples all in one pot. I love it, such a great combo you made. Hey Pam…I’m always ready to move on to new planters come September…I’m right behind you…thanks for the inspiration! That is a beautiful planter, Pam…and I love the video, too! 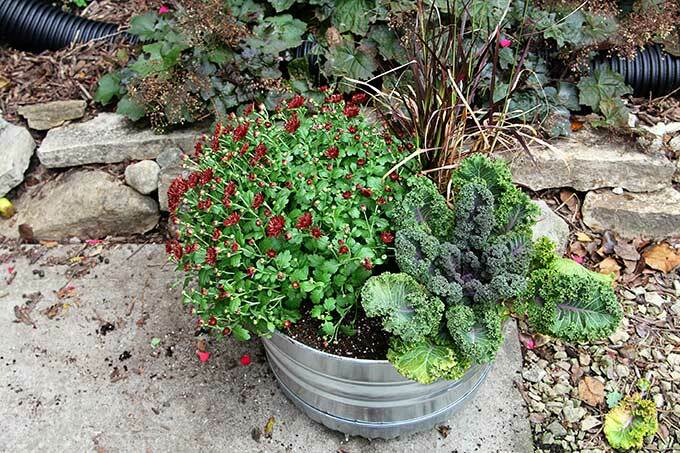 I admit, I’ve been letting some of my planters go now, too…they need refreshing for fall! what a lovely planter and flowers you put together. perfect for fall weather. 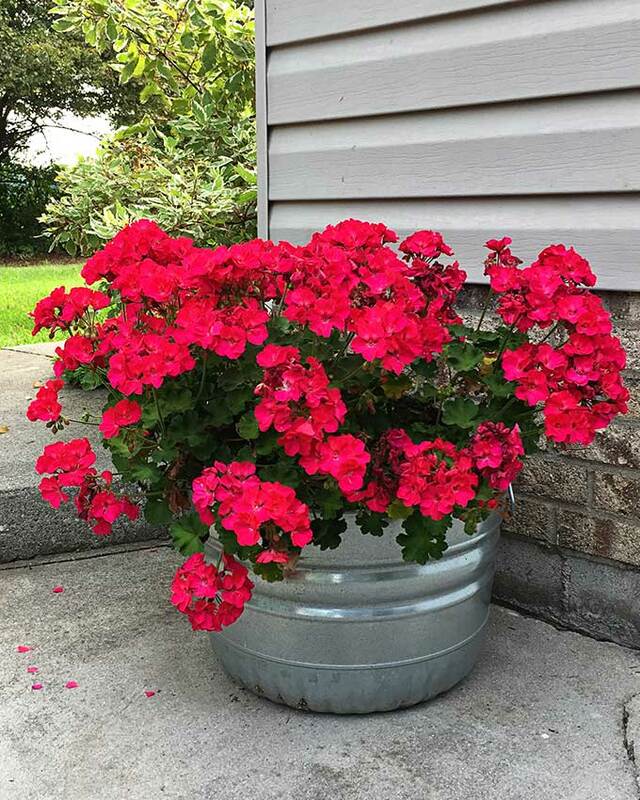 Your planter looks so gorgeous and fallish, Pam! So pretty. Wishing it was cooler down here in Texas…I’m so ready to plant some fall fun, too. 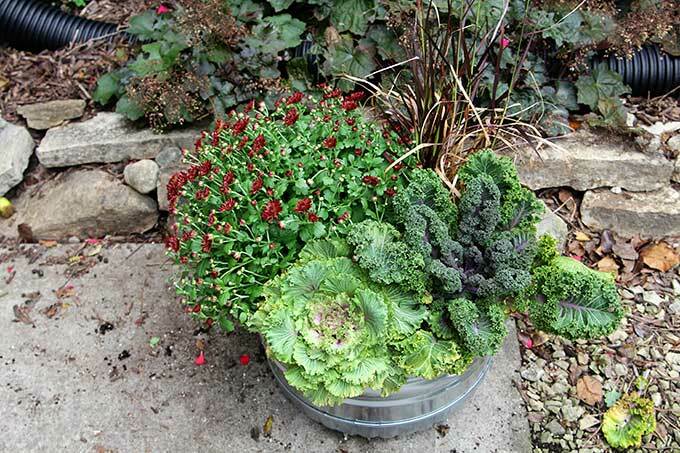 I love how you added the kale and cabbage with the mum. Easy but so pretty and perfect for fall. It’s all about the cabbage for me, and you’ve got nice cabbage. Thanks for permission, Pam! Am just seeing your post today, and my summer girls are far past prime, but tried to keep them hanging on. Now I have some fresh incentive and lovely ideas to carry on into fall. Problem is, our temps in MN have been just brushing 90! We had one lovely week of perfect fall temps, now way too warm, and forecast says more on the way. Considering what other folks are dealing with around the country, shouldn’t complain. Awesome post! I love that pumpkin places right next to the planter, gives such a special look!